A number of QSY community members (students and staff) have reported being impacted by scents present at the studio. As we seek to be an inclusive, welcoming place for all, we would like to do our best to reduce the risk of our students and teachers being negatively affected by scents in our studio. The vast majority of fragrances are synthetically created, and many contain ingredients that can be harmful to your health. These fragrances are added to everything from shampoo, to laundry detergents, to candles and household products. Many chemicals used in synthetic fragrances are derived from petroleum and include benzene derivatives, aldehydes and many other known toxins and synthesizers capable of causing cancer, birth defects, central nervous system disorders and allergic reactions. 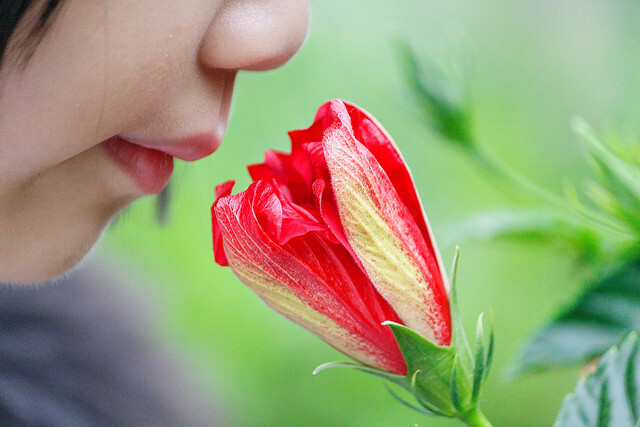 Scents enter our bodies through our skin and our lungs. The chemicals in scents can cause many different reactions. While some people are only mildly affected by scents, others have severe reactions. Some common symptoms include: headaches, migraines, dizziness, weakness, shortness of breath, nausea, asthma. QSY aims to be a scent-free environment. We ask that all students and staff refrain from wearing any scents to the studio. This includes: scented deodorants, hand creams/lotions, perfume or cologne, scented lip balm and other scented products. If at all possible, we ask students who come regularly to our studio if they would consider switching their laundry detergent to an unscented product. Laundry detergents cause some of the most severe allergic reactions for some of our students. There’s a big, important difference between “Unscented” and “Fragrance-free”. Products that are labeled as unscented can be very problematic. Many so-called “unscented” products actually contain more toxic chemicals that are then used to mask the smells of other ingredients. Look for products labeled as fragrance-free rather than unscented. Avoid parfum in the ingredients list: that’s just a sneaky way to say fragrance. DIY — Make your own natural deodorant! It is super easy to make your own completely natural, fragrance-free deodorant with a simple mix of 2-3 common household ingredients: baking soda, cornstarch, and coconut oil. We’ve found this easy deodorant to be the most effective, inexpensive, and long-lasting natural deodorant we’ve used. Learn how to make it in less than 5 minutes in this tutorial. But I really love fragrances! Are there any safe fragrances I can use? We ask that QSY staff and students refrain from wearing all synthetic fragrances. A small, subtle amount of therapeutic grade essential oil, when well sourced, can make a great alternative scent that is much healthier for our bodies. Essential oils, in theory, are completely naturally derived from plants such as flowers, roots, and woods. It’s important to distinguish between therapeutic and cosmetic grade oils. For most people, 100% essential oils are safe, healthy scents, and can even be used therapeutically for anything from headaches, general skin care, to household cleaning. However, the processes for deriving essential oils can be expensive, and many companies cut corners by mixing synthetic fragrance with essential oils to reduce the cost. In the US, the FDA states that there only needs to be 10% essential oil in a liquid to call it an ‘essential oil’. So an oil or fragrance may be labeled as “pure” but actually have 90% percent synthetic additives. It’s important to source essential oils carefully, and buy products only from companies with a strong reputation so that you can trust that they are pure. Our staff and massage therapists buy therapeutic-grade essential oils from Ananda Apothecary. They are a company based in Boulder Colorado, and their founder is a naturopath and yoga teacher that Leena knows. All their oils are 100% pure essential oils, with no additives whatsoever. (They also have quite reasonable prices and ship to Canada!) Please note that most oils should not be applied directly to the skin “neat,” without adding a carrier oil like pure almond oil. Aura Cacia is another reputable brand that you can find at local health food stores and even at Bulk Barn. Two other Canadian Essential Oil companies that claim to sell only 100% essential oils are Pure Potent and Saje Natural Wellness. Please be in touch with us if you have any questions, suggestions, or resources to share for our scent-reduction policy. Thank you for being an awesome part of our community and helping us make our studio healthy and welcoming for all our staff and students!